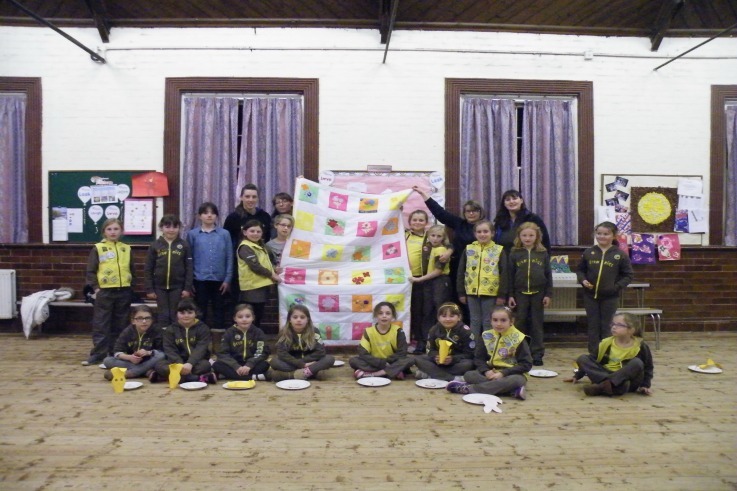 Brownies from Whitchurch recently made squares and from that created a quilt, which has been on display in Malpas as part of a recent quilting exhibition. The quilt, made by members of 6th Whitchurch Brownies, will be donated to a childrens’ charity – the Brownies will be deciding which charity to send the quilt to and are happy to have ticked off both the You and Community sections of their programme with this particular project. For more photos of the quilt when it was on display, hop over to our Facebook page.